Salinan John Burchill has written of the plague of horse thievery from the Colonial Era through the early 20th century. The horse, being one of the most valuable rsources vital to survival was a lucrative pursuit of outlaws. 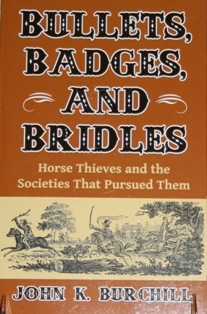 Find out how anti-horse theft societies brought ganges of thieves to justice. Paperback.